These shuffleboards are manufactured in the USA, bespoke made to impress, using eye popping designs, adding a real 'wow' factor to any setting. At Home Leisure Direct we stock a great range of Hurricane Shuffleboards, astonishing shuffleboards which feature unique and eye-catching designs, available exclusively through us in the UK. Hurricane shuffleboards are some of the most striking, unusual and stylish shuffleboards on the market. Hurricane use the best materials and the most modern designs in their range of products. Here at Home Leisure Direct, we are incredibly proud to be the only Official Hurricane Shuffleboards Retailer in the UK. Selected by Hurricane because of our industry-leading website, specialist installers and expert sales advisors, we are able to offer you a first class service. Hurricane shuffleboards are aimed at serious shuffleboard players who are looking for a more contemporary aesthetic than that offered by more traditional shuffleboard tables. A Hurricane shuffleboard will be just as much a conversation piece as a playing table, and excels at both. The striking looks that Hurricane offer on every model will make your new shuffleboard a real centrepiece, whether in your home, private club or public space. Hurricane tables range from 12ft to 16ft, putting them in the middle of the range of traditional shuffleboard table sizes, so you can get the best game without compromising on space wherever your table is situated. Each table is manufactured to your order, in the USA. It is then shipped to our warehouse in the UK from where we will arrange delivery and installation, which is is free of charge. Once ordered, if your shuffleboard is available from stock it will be dispatched immediately. If not, it will be made to order and can take from 6 to 13 weeks to be manufactured and shipped from the USA. Hurricane shuffleboards are designed with an ethos of combining excellent play quality with stunning looks. Hurricane aim to bring shuffleboard into the 21st century while offering a piece of furniture you'll be proud to have on display at all times, and use aluminium and steel as well as traditional woods to achieve this harmony. Every Hurricane shuffleboard comes with the accessories needed to get started straight away. A complete set of pucks comes with each table, as well as a scorer, and with free delivery and installation included, you'll be playing your first game as soon as the table is delivered and assembled. Your Hurricane shuffleboard can be fitted with a number of options, to really make your new shuffleboard table your own. Under-table lighting can be fitted for a striking added effect, custom etching can be done to personalise your table with a logo or other design, and custom pucks can be supplied to supplement the already included set. At Home Leisure Direct we supply your Hurricane shuffleboard with free delivery and installation to most locations within mainland UK. The delivery will be professionally handled by one of our fully insured specialist two man delivery teams. It will be placed in a ground floor room of your choice, and all packaging removed. This ensures you have the best service from Hurricane shuffleboards and Home Leisure Direct, from the moment you order to the start of your first game. 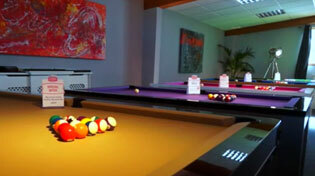 We understand with busy schedules, family life and work commitments not everyone can visit our showrooms. Buying a shuffleboard table is generally something you will only do once in your life, so its important to make the right choice. We at Home Leisure Direct understand this completely. If you are concerned about your space, size of the table or whether or not a table will fit in your space, then you can either download any of our “will it fit” guides or call the team who will happily help you over the phone. We will never tell you an item will fit just to get a sale. You can trust us to offer you honest advice, all of the time, so no unwanted surprises come delivery day.